Cleveland Browns Periscope User Stats This is Cleveland Brownss periscope stats website page. This is Cleveland Brownss periscope stats website page. Cleveland Browns created profile on 2015-04-21 Time 14:55:09 and last update profile time is . Cleveland Browns total followers is 38199 and Cleveland Browns total following is 42 . 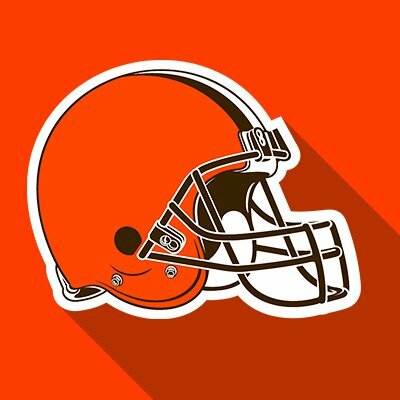 Cleveland Browns twitter nickname is Browns. Cleveland Browns is Official Twitter Account of the Cleveland Browns. The 2019 Cleveland Browns Draft Preview Show presented by @Speedway is live on @923TheFan! Cleveland Browns Daily is live on a football Monday! Cleveland Browns Daily is live...with the Gold Cup! Cleveland Browns Daily’s schedule release show is live! Cleveland Browns Daily is live for a Thursday! Cleveland Browns Daily is live on a Monday! Cleveland Browns Daily is live on a Friday! Cleveland Browns Daily with Beau and Nathan is live! Cleveland Browns Daily with Beau Bishop and Joe Thomas is live! Cleveland Browns Daily is live with Beau and Nathan back! Cleveland Browns Daily with Nathan Zegura is live! Cleveland Browns Daily is live with Gibbs & Gribbs! Cleveland Browns Daily is live with Jim Donovan and Dave Zastudil! Welcome to a big football Monday edition of Cleveland Browns Daily! Cleveland Browns Daily is live on a football Friday! Cleveland Browns Daily is live with John Dorsey! Cleveland Browns Daily is live! Beau and Nathan break down reported trades and signings. Cleveland Browns Daily is live from the NFL Combine! Cleveland Browns Daily live from the NFL Combine! The Cleveland Browns Daily year in review show is live! The Joe Thomas Hour on @Browns_Daily ‏is presented by @elkandelk.